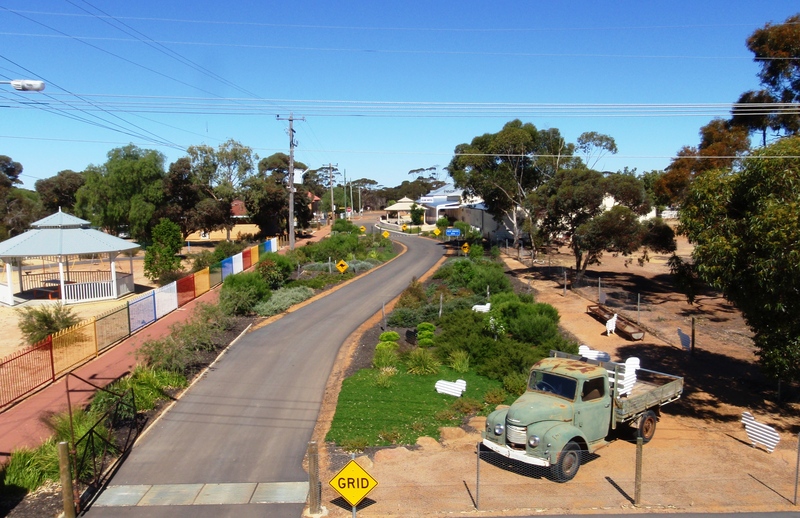 Westonia is located just over four hours drive east of Perth and half an hour from Merredin. It is on the Wheatbelt Way drive trail. 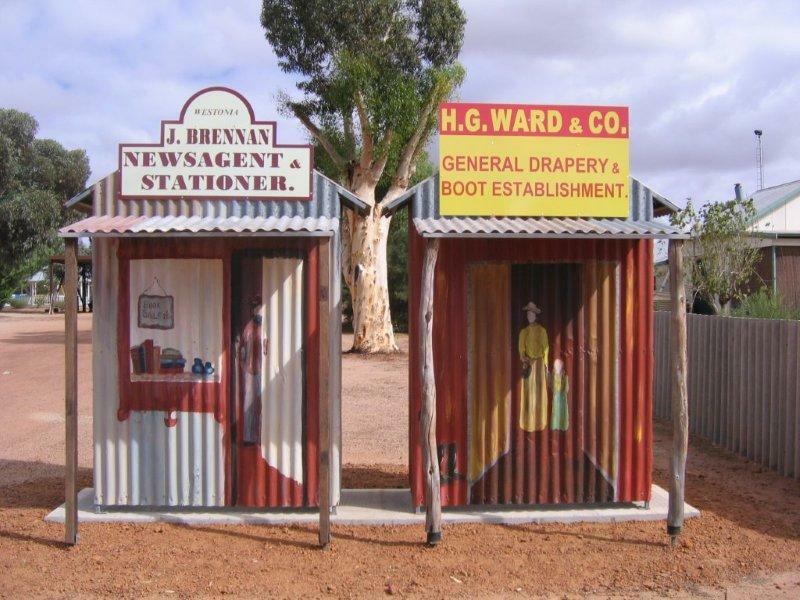 The Goldfields meets the Wheatbelt in the town. 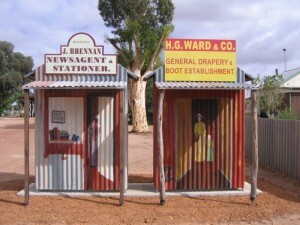 Named after Alfred David Weston, a sandalwood cutter and part time prospector, the town owes its origin to gold mining. Gold mining is still an important industry in the area, although the shire’s primary industry is now wheat and sheep farming. All its streets are named after minerals and the town has preserved a streetscape facade that reflects its Edwardian origins. In 1915 Westonia had two mines in operation and by 1917 the town had a population in excess of 2000. The town’s population dropped significantly when the Edna May Gold Mine located one kilometre north of town, closed for the first time in 1922. Since then the Edna May Gold Mine has been re-opened and mined by 3 different mining companies. Currently it is owned and mined by Evolution Mining. Westonia is nestled amongst 4,000 hectares of salmon gum, morrell and gimlet woodland interspersed with granite outcrops. The four kilometre Woodlands and Wildflower Trail through Westonia Common is well worth exploring. Explore the massive granite outcrop of Elachbutting which includes a giant wave-shaped formation and 30metre rock tunnel you can walk through. Sandford Rock reserve is also located in the Westonia Shire. For more information on Westonia www.westonia.wa.gov.au. Evolution Mining (“Evolution”) owns the Edna May Operation situated two kilometres from the Westonia township and 45 kilometres north-east of Merredin. The Company is currently Australia’s fourth largest ASX-listed gold producer with forecast production of between 370,000 – 410,000 gold equivalent ounces in FY2013 from its five operations (Edna May, Cracow, Pajingo, Mt Rawdon and Mt Carlton). Evolution was formed through the merger of Catalpa Resources Limited and Conquest Mining Limited, and the concurrent purchase of Newcrest Mining Limited’s interests in the Cracow and Mt Rawdon gold mines in Queensland. Edna May has a history of mining which spans over 100 years with high-grade underground mining first commencing in 1910 before being suspended in 1922 and again in 1948. Open pit mining commenced in 1985 by ACM who later developed a decline and completed limited underground stoping. Evolution celebrated its first gold pour at Edna May in April 2010 and plans to produce around 75,000 – 80,000 ounces in FY2013. Near-mine and regional exploration and consolidation programs together with the potential development of an underground operation are focused on extending the current nine year mine life, providing higher grade mill-feed and discovering new regional deposits. Currently, the Company is undertaking crushing trials aiming to increase the plant’s throughput to over 3Mtpa (currently 2.6Mtpa). Mining activities are focused on accelerating the widening of the open pit via staged cutbacks for long-term access to ore. Current regional exploration activities include target generation and the preparation of drilling programs at the Holleton Gold Project, 70 kilometres south of Edna May. More locally, and in close proximity to the existing Edna May open pit, geologists are working on the provision of a resource update at Greenfinch and are also exploring for high-grade oxide resources.